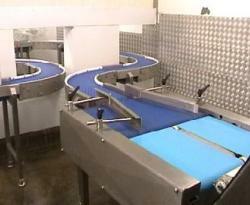 C-Trak offer a range of Accumulation Conveyors enabling your products to be held in position and sorted with ease. Each application is custom designed to handle different shaped sizes and functions. 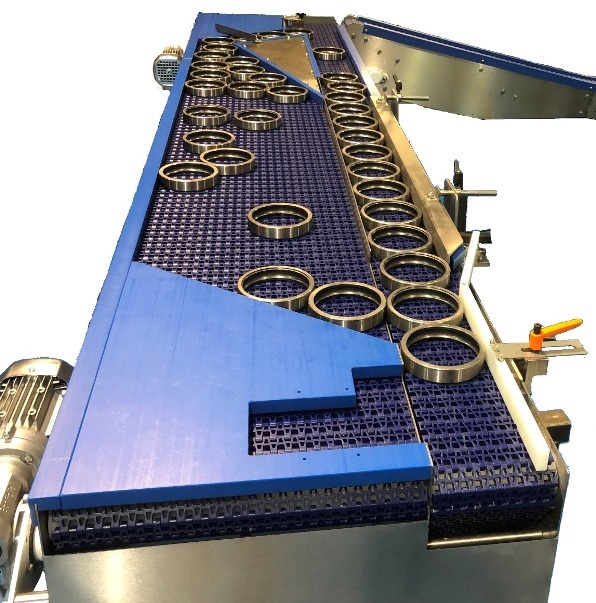 How to deal with bottleneck areas and incorporate buffering conveyors for holding and sorting. Research and Development Service to custom design a system that will offer you greater automation at affordable prices. Why use C-Trak for your Buffering Conveyors? In feed conveyors need to have enough products to supply your equipment processes to guarantee a constant flow of production. machines so close together that production flow is not achievable without implementing accumulation areas and it maybe that just one machine can hold the whole production line up. 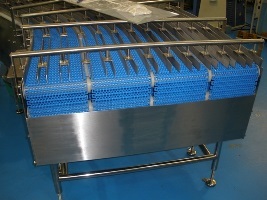 We are here to help and answer any of your questions on our accumulation conveyors and sorting systems.